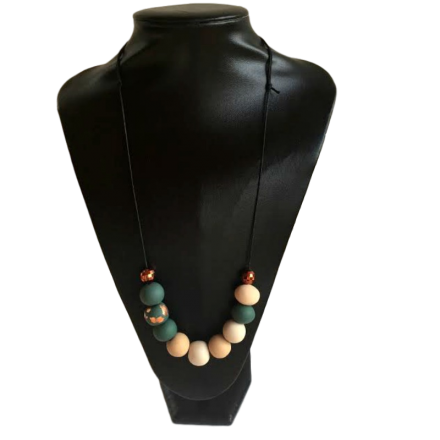 A lovely combination of individual hand rolled olive green and cream polymer clay beads with a clever contrasting touch of copper foiling really lifts this necklace. Please note they are hand rolled and no two beads will be exactly the same. 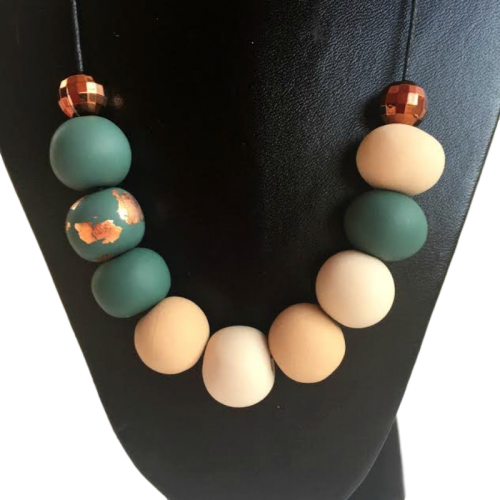 End copper beads are not hand rolled. Threaded onto a black adjustable cord.